Yet another video-game adaptation, yet another disaster. 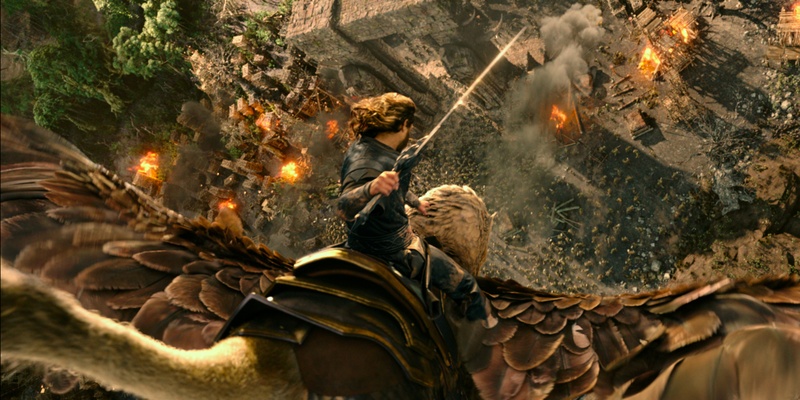 ‘Warcraft’ managed to sneak into my top 10 most anticipated films of the year, it had what i thought was a great trailer, cool looking visuals, and looked promising to maybe break through and be the first well received video-game movie. But after watching it, it may be the most dull 2 hours of the year, it was really hard to get through this. The plot was not engaging, you couldn’t get behind any characters, and the amount of interesting sequences were few and far between. My knowledge of the Warcraft universe is limited exclusively to the Hearthstone strategy game, so people would show up and i would hear words that were familiar but i had no better understanding of what was going on than anyone else. Some cool action scenes here and there were engaging, and visually quite attractive, and very busy. For what this movie was; a fantasy/war epic, the 2 hour runtime wasn’t really all that long, but somehow this film found a way to make me quite bored with every second going by. The dialogue and interactions between the humans were probably the hardest scenes to watch, the pacing was agonisingly slow, and i couldn’t buy into any characters or their relationships. All of these things on their own are minor negatives, but it was like a domino effect, where one thing being bad made the next bad thing worse, and so on. Garona and Durotan were probably the two characters with the most potential and were more engaging than anyone else in the film. But amongst the rest of the crap going on around them nothing they could do would save the film from imploding. The plot was unnecessarily complex and there was a lot going on throughout this film to the point where i would get lost whilst trying to figure out what was going on in the previous scenes. There was a lot of setup for future films here and that took away from the focus of this story that they were trying to tell. I can’t imagine that with all of the stories that exist within this universe, this is the best they could come up with. I thought it did an ok job at introducing people to the world of Warcraft (pun intended) but there were a lot of terms and words that would leave people a little confused. The big action scenes were somewhat enjoyable and there was a lot of stabbing and sword action, but you couldn’t get invested into the scenes and i definitely didn’t back a certain side, because i just didn’t care enough. But for dumb shut your mind off action with orcs and humans they weren’t terrible. Gul’dan was probably the one character going into the film i wanted to see the most of because he was pretty much the main one i was aware of, and the limited scenes he was in were mostly just meh, some cool ones but i want to see more of him next time. Previous ‘FINDING DORY’ Movie Review – It’s Pixar, just watch it..
Next ‘INDEPENDENCE DAY: RESURGENCE’ Movie Review – USA! USA! Maybe it’s because I had zero expectations for the movie and I’ve never played the video game, but I thought “Warcraft” was pretty enjoyable! (I’m not a fan of fantasy either, so that’s saying a lot)! Lot of mixed reviews for this one, the fact that I had pretty high hopes for this probably knocked it down a little more than if I wasn’t looking forward to it as much. Glad you could enjoy it at least!